Could this be the advent of a new amusement era in a place of old games? Imagine an artificial ice rink becoming the bridge between past and future entertainment in one of the world’s oldest amphitheaters. 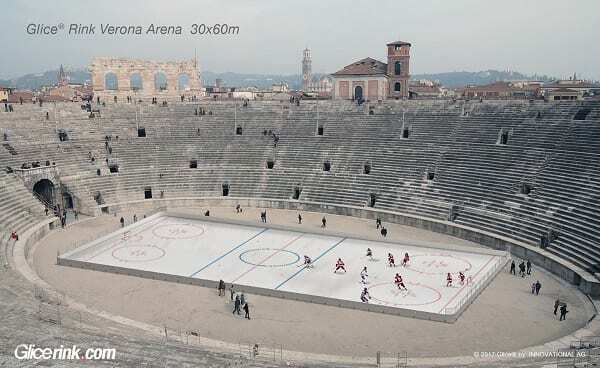 Equipped with a Glice® synthetic ice rink and fitting an audience of 15.000 the ancient Verona Arena in Italy could quite possibly become the most extraordinary ice hockey stadium known to man.